Students learn problem-solving skills through rigorous math lessons taught by engaging, comic-book style characters. Learn math from rigorous, beautifully illustrated guidebooks. Reinforce and master concepts with hundreds of practice problems, puzzles, and games. 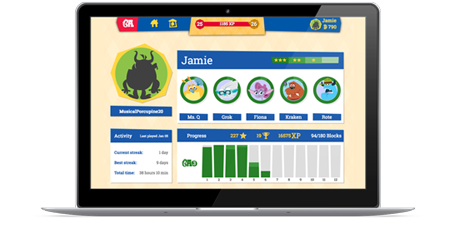 A full curriculum that helps young students master fundamental math concepts with interactive practice and challenges, as well as detailed progress reporting. We designed Beast Academy as the math curriculum we wish we had when we were kids. It teaches kids how to think critically and understand the concepts behind the math calculations they’re performing. Engaging, comic-book style illustrations keep kids coming back for more, even as they grapple with some of the most rigorous math problems available anywhere. Do you want your child to embrace math as a problem-solving tool they'll use for the rest of their life? Beast Academy will take them there. Math instruction fails when it focuses on processes and formulas to be used only in specific calculations. At Beast Academy, we help students succeed by understanding the concepts behind their calculations, building a foundation for more advanced math and science classes in the years to come. Figuring out interesting problems and solving puzzles makes challenging math fun. Beast Academy shows young learners what it’s like to enjoy math and understand it on a deeper level by letting them approach mathematical concepts the way that mathematicians do. If students get every problem right on the first try, they’re probably working on material that’s too easy. Challenging problems and puzzles in Beast Academy foster flexibility and perseverance, helping students develop the skills needed to tackle tough problems in any discipline. Each Beast Academy lesson presents a few basic mathematical concepts, then guides students through applying these concepts in new ways. Students learn by making connections and developing insights that help them understand challenging concepts on a deep level. 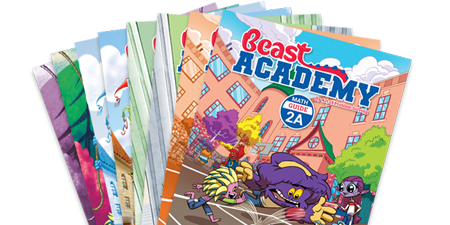 Beast Academy is published by the Art of Problem Solving® team, which has developed resources for outstanding math students since 1993. By teaching students how to solve the kinds of problems they haven’t seen before, our materials have helped enthusiastic math students prepare for —and win!—the world’s hardest math competitions, then go on to succeed at the most prestigious colleges and universities. Now, Beast Academy brings AoPS's problem-solving approach to elementary math education, helping students leapfrog way ahead of most standard math curricula. Beast Academy is set up to work as a complete math program. It can also be used as a supplementary curriculum in a public, private, or homeschool. We expect to open additional learning centers in the future. 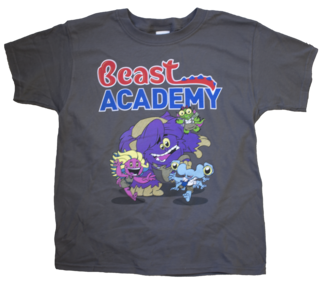 Do math in style with the whole Beast Academy crew! ...really good math textbooks that introduce their subjects in a clear and easy-to-follow fashion, carefully linking each concept to the last; and the exercises are lively, fun, and built around stories that dovetail smoothly into puzzles, games, and other ways of putting the knowledge into practice.